Hi Chloe and Sami great to meet you both, can you give our readers some background information on yourself please? Sami: Hi, I’m Sami, I work as a performer and also as a qualified British Sign Language/English Interpreter. 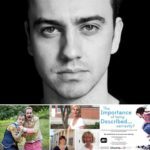 I have a longstanding passion for inclusion and accessibility in the Arts ever since training at a unique degree course at the University of Reading; Theatre Arts, Education and Deaf Studies. Chloë: I’ve been performing professionally as an actor/musician for about 8 years, nearly exclusively in integrated or inclusive theatre. 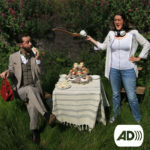 I’m registered blind so access in the arts is something I consider vital, and since receiving an Unlimited commission to explore creative uses of audio description I’ve become an AD consultant working with a huge variety of artists and companies across the UK and internationally. You are in the process of launching a new company called ‘Elbow Room Theatre Company’, an interesting title! Please tell us more. Sami: Our aim is to create elbow room in the arts for marginalised groups of people. We’ll do this through a commitment to representation and equal access for performers and audiences. We produce new writing that explores creative access from the outset. ‘Elbow Room’ came to us when thinking about who has space and freedom in the arts and society, and who is fighting for it. We want to celebrate diversity and provide a platform for those, like us, who have to use their elbows occasionally. 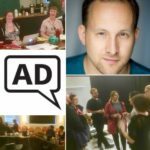 It’s important to continue discussions surrounding representation and diversity through the work we create and through collaborating with other companies, venues and the wider community. 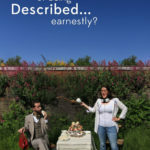 You are both currently working on a new production called The Importance of Being Described… earnestly? 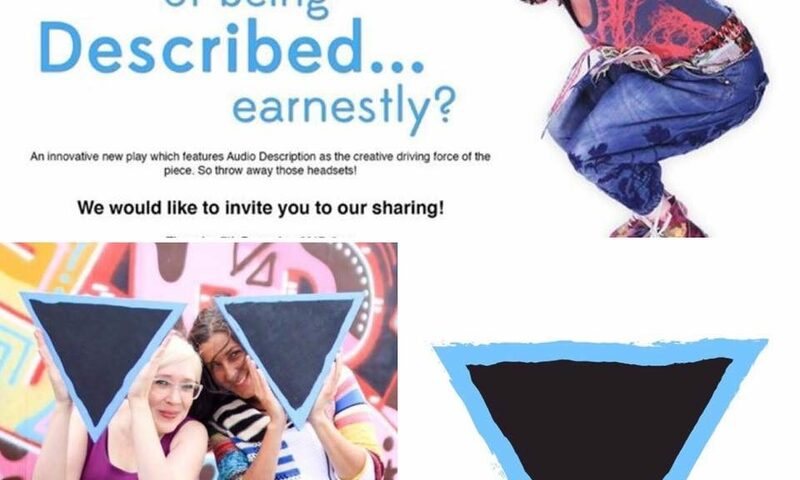 We believe this new production presents a new form of Audio Description for audiences? Chloë: That’s the plan! It came from my frustration at what I felt was a lack of creativity and the isolating, singular nature of ‘traditional’ audio description. 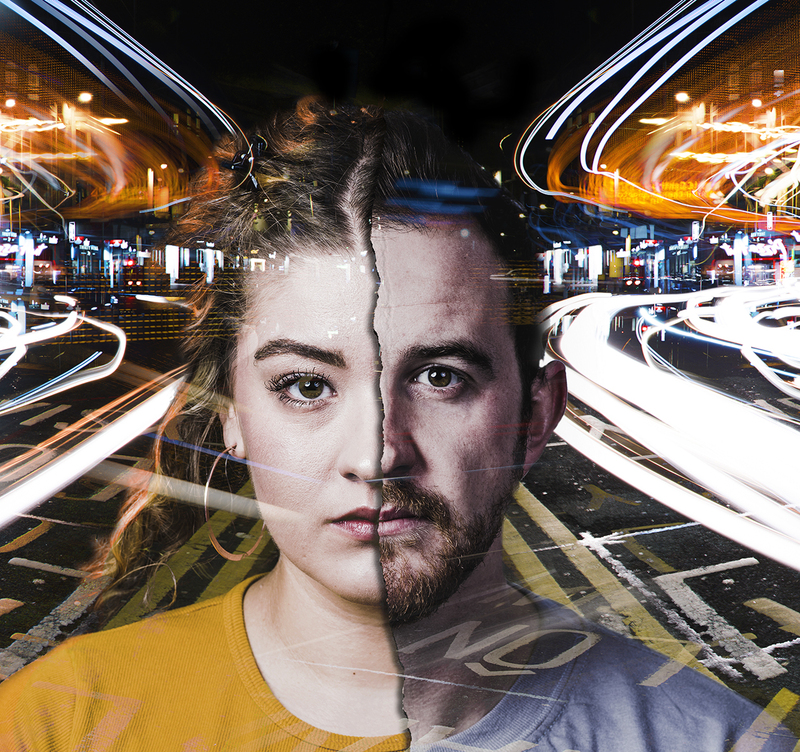 We’re throwing away those headsets and devising a creative style of audio description that offers a choice of interpretation and enhances the show for everyone equally. It is delivered live by all characters – and the audience – in a way that adds to the humour and drives the action as well as providing what we like to call ‘access by stealth’. 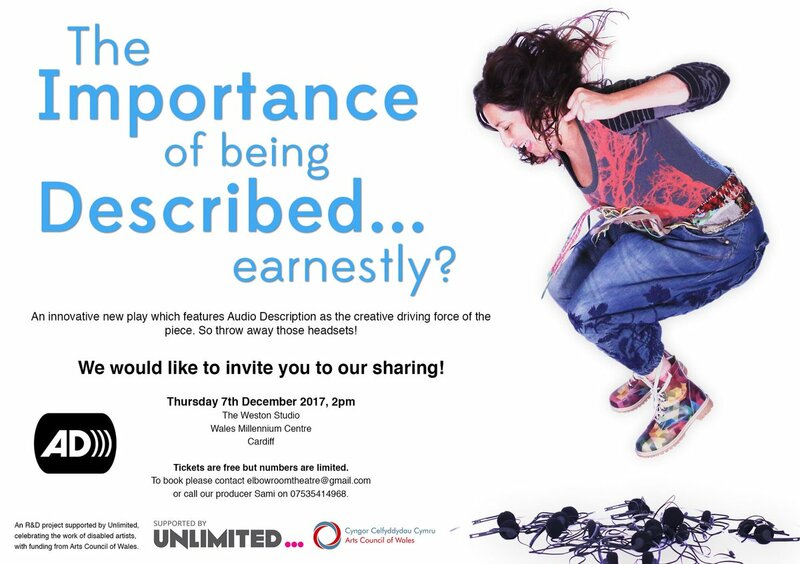 We want to prove that access really is for everyone and will be hosting a sharing of our research and development on Thursday December 7th at 2pm, in the Weston Studio, Wales Millennium Centre. We’re inviting any interested parties to book tickets via our website: www.elbowroomtheatre.com. Tickets are free but numbers are limited so grab ‘em quick! 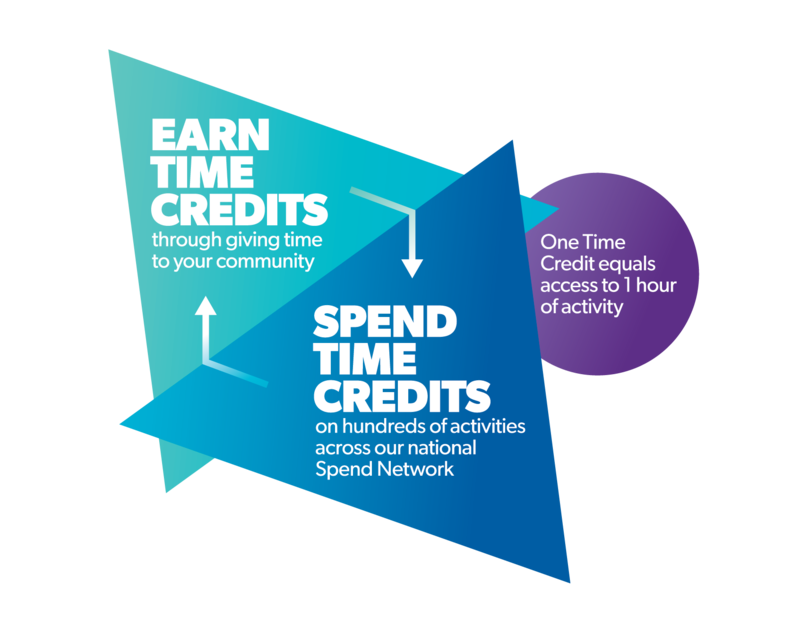 Get the Chance works to support a diverse range of members of the public to access cultural provision. 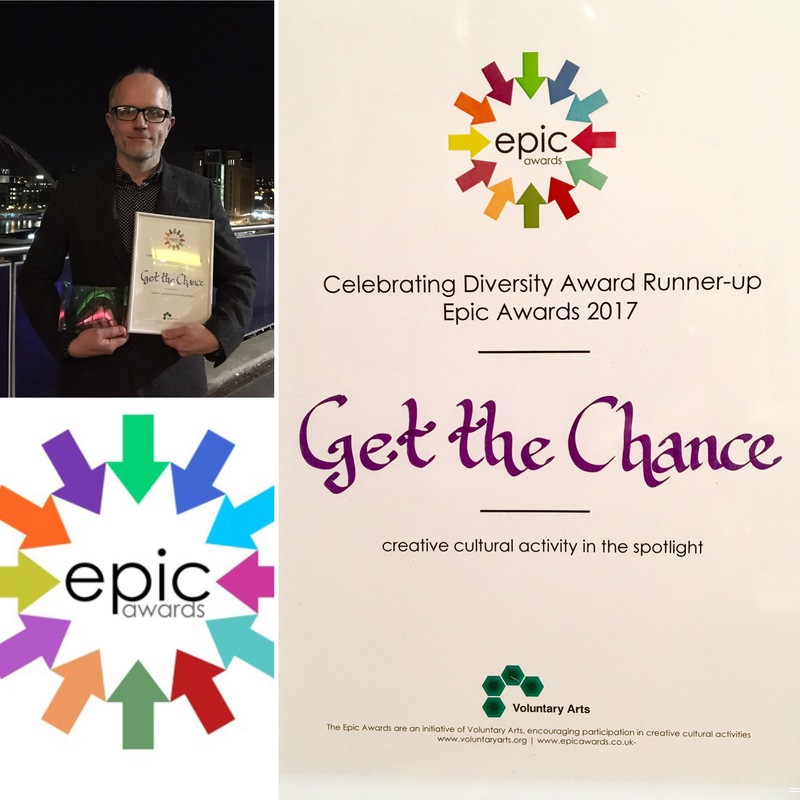 Are you aware of any barriers to equality and diversity for either Welsh or Wales based artists? Sami: I think there are definitely barriers, we can’t be naive in thinking that we are remotely near a time when we can tick a box to say that equality has been achieved, however that shouldn’t deter us in doing every little thing we can to highlight these barriers and to remove them. We are in it for the long game, we need to produce role models for young people and that means opening our doors wider in places where we train and educate people in the arts. We need to continue to have discussions around equality and diversity and implement new forms of inclusion. Talk AND do, that’s the way forward. Diversity is so broad, we must cater for individuals and not just label groups of people. We are all unique and that makes for an exciting, interesting and rich world. Chloë: I couldn’t agree more. Yeah. What she said. 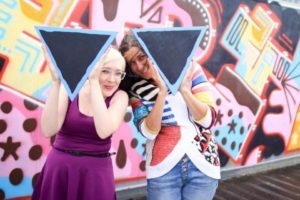 You both work across the UK with a specific focus on work that supports access for performers and artists. How do you feel Wales compares in these areas to the rest of the UK? Sami: I honestly think Wales is behind. Both England and Scotland host disability led theatre companies, I would love to see more theatre that integrates access come over to Wales. It’s not that we don’t have any integrated theatre here or an unwillingness to learn, in fact, I find generally there is an inclusive attitude, it’s just that we need MORE. More choice, more variety for more people, more of the time. Chloë: Having worked a lot in Wales and England I’d say there is definitely disparity in the amount of access and disability representation between them. As Sami so succinctly put, attitudes here are by and large willing, but somehow things just aren’t getting done at the level they should be. I think this is hugely to do with the relative scarcity of diverse or inclusive companies and work produced here, as well as a lack of programming of good examples from further afield. So often the argument from venues and companies with regards to access is ‘we’d love to, BUT…’ – we need to work together to combat the barriers faced by these venues and companies. One possible solution is the creative integration of access from the start of a project instead of tacking it on at the end. We need to enthuse writers and directors, as well as venues, to consider access from the outset. This can break down barriers from both sides. If you were able to fund an area of cultural activity in Wales what would this be and why? Chloë: It would be in theatre and making theatre inclusive as a whole. We don’t just mean providing accessible performances, the entire experience needs to be welcoming, from booking tickets to getting to the theatre to interacting with venue staff. We need to be cultivating trust with diverse audiences in order to see them grow. What excites you about the arts in Wales ? What was the last really great thing that you experienced that you would like to share with our readers? Sami : We love being in Cardiff, being in a city where there’s so much choice of theatre and cultural activity. The richness and quality of the Arts here really excite us and we want to see it all shared with as many people as possible. The last thing I saw that I really loved was the NT Live cinema screening of Angels in America.It took me two weekends to watch it as its very long! It was absolutely beautiful Andrew Garfield was in it. I loved him as an actor he was absolutely gorgeous. He is now playing a disabled person in the film Breathe, I saw him being interviewed on the Andrew Marr show recently. He was using language such as “Able Bodied” and ” Wheel Chair Bound”. I think these opportunities should be given to disabled performers or at the very least have some awareness of the social model of disability and right those wrongs. You are sat there watching cringing, going you are a person that has spent hours researching this role, you must know about the social model of disability, use your power , use your place in the world to be like no this is the correct terminology to use, be a role model! 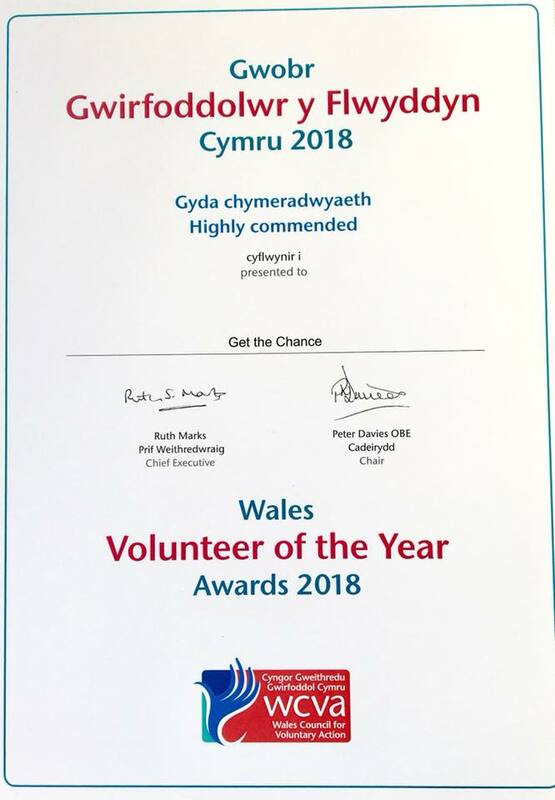 Thank you for your time, we look forward to your sharing at the Wales Millennium Centre. Thank you for coming to have a chat with us for Get the Chance this afternoon.